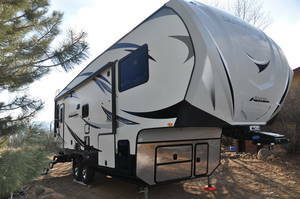 Outdoors RVs for sale include the Half-ton series, Bunk Models, and 5th wheels. Meant for all four seasons, Outdoors RV offers well insulated models to fit any budget. You will find both new Outdoors RVs for sale and used Outdoor RV models for sale from these private sellers and dealers below.